One of the games more classics that Microsoft includes in its Windows operating systems is the Pinball. For this reason, it seems strange to me that the mobile phones of today do not offer by default. But if you use Android don't worry, because in the Android Market is you can download the game of Pinball. 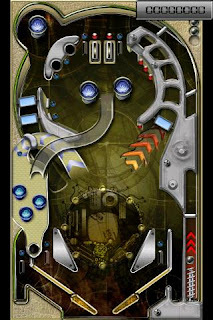 The game of Pinball for Android is free and offers a graphical interface very modern and lively. In addition, they say its developers, the game is very faithful to the laws of physics, which makes them even more fun and addictive. Pinball for android The game controls Pinball for Android are very simple, in fact the only thing you have to do is click any area of the screen, so that if we do so in what would be the right hemisphere will move the flipper from that side, but if our finger press the another region, will be mobilized the other flipper. With this game without a doubt will be able to spend hours and hours playing to try to overcome our previous records.